Dilutional Linearity, Parallelism, Spike-and-Recovery in ELISA: How to QC Your Results? Why ELISA Validation Is Important? The enzyme-linked immunosorbent assay (ELISA) provides a methodical quantification of specific analytes through antibody-analyte binding affinity and colorimetric development. For samples validated by ELISAs, high accuracy and reliability in analyte quantification is the expectation. However, samples that have not been validated may not display similar degrees of reliability. Differing antibody-analyte binding characteristics and/or interfering effects can be inherent to the sample matrix. This exemplifies the critical importance of ELISA validation for accurate analyte measurements in new samples. Validation results may provide verification of sample compatibility and possible sources of interference with future implications on assay optimization. Spike or introduce a known quantity of standard analyte into sample matrices above the upper detection limit of the standard curve. Commonly used matrices are substitute matrices that attempt to replicate actual test sample matrix or sample matricies at free or low concentrations of detectable analyte. Conduct 1:2 serial dilutions of spiked sample matrix until the lower limit of quantification of the standard curve is reached. Obtain absorbance and calculate mean concentrations only for sample ranges within the lower and upper limit of the standard curve. Samples displaying ideal linearity should detect no changes in observed analyte compared to final analyte concentration after factoring dilutions. However, linearity is also achievable for sample recoveries within 80% - 120% of the expected values. The highest dilution of an analyte that displays linearity within this range is often known as the limit of dilution. Ranges outside of this 20% threshold display poor linearity and indicates possible interferences from the sample matrix and/or standard diluent. Common contributors to this discrepancy may come from salts, pH, detergents, protein interactions, or other elements that interfere with antibody binding within matrices. This may necessitate working within optimal dilutions or possible optimization of sample or sample diluent for better assay compatibility. Table 1: A buffer sample containing vasopressin was serially diluted 5 times 1:2 in the kit Assay Buffer and measured in the assay (Catalog No. ADI-900-017A). The data can be plotted graphically as expected vasopressin concentration versus observed vasopressin concentration. The line obtained has a slope of 1.0162 with a correlation coefficient of 0.9895. Identify at least 3 samples that display high concentration of endogenous analyte, but not exceeding the upper limit of quantification in the standard curve. Perform 1:2 serial dilutions using sample diluent until the predicted concentration falls below the lower limit of quantification of the standard curve. Analyze neat and diluted sample OD while factoring in dilution factors. Only use samples within the standard curve limits. Determine mean concentrations of samples with dilutions factored in and calculate % CV. %CV within 20-30% of expectations generally display successful parallelism, although the exact percentage should be decided by end users. Matrices displaying parallelism indicate a comparable selectivity between analyte and antibody from endogenous sample and standard/calibration analyte. Higher %CV than the usual accepted values indicates a loss of parallelism and suggests a significant difference in immunoreactivity between these two analytes. This may be possible due to the presence of post-translational modifications or unspecified matrix effects affecting analyte. Table 2: Intra-assay precision was determined by taking samples containing low, medium, and high concentrations of corticosterone and running these samples multiple times (n=16) in the same assay. Inter-assay precision was determined by measuring three samples with low, medium and high concentrations of corticosterone in multiple assays (n=8). The precision numbers listed represent the percent coefficient of variation for the concentrations of corticosterone determined in these assays as calculated by a 4 parameter logistic curve fitting program (Catalog No. ADI-900-097). Spike/Recovery is often utilized to determine the differences in percent recovery between sample matrices and standard diluent. The postulated question asks whether the percent recovery obtained from the standard diluent is identical to the percent recovery obtained from the natural sample matrix will provide identical percent recovery. Spike/Recoveries are conducted by spiking a known quantity of standard analyte within the standard curve to the intended sample test matrix and standard diluent. After running both samples and obtaining the concentrations, calculate percent recovery. Table 3: Purified melatonin was spiked at three concentrations into the minimum recommended dilution of human, rat, mouse, porcine, and fruit matrices. Matrix background was subtracted from the spiked values and the average percent recovery for each matrix at the minimum required dilution is presented below. These results show the tested matrices at the minimum recommended dilution have no obvious interference with the Melatonin ELISA assay (Catalog No. ENZ-KIT150). Ideal sample matrices should obtain 100% recovery. However, deviations of 20% or less are also acceptable. Percent recovery within these ranges suggests a greater confidence of ELISA compatibility with the proposed sample. Recoveries exceeding this threshold imply potentially significant differences between the natural sample matrix and the standard diluent. A possible adjustment for improving recovery is to find alternate diluents that align more closely with the proposed sample matrix. Alternatively, introducing different ratios of sample diluent into the sample matrix may also display improvements to recovery. Enzo Life Sciences offers hundreds of ELISA kits all geared towards a wide variety of proteins and hormones with the option of testing multiple sample matrices from a diverse range of species. 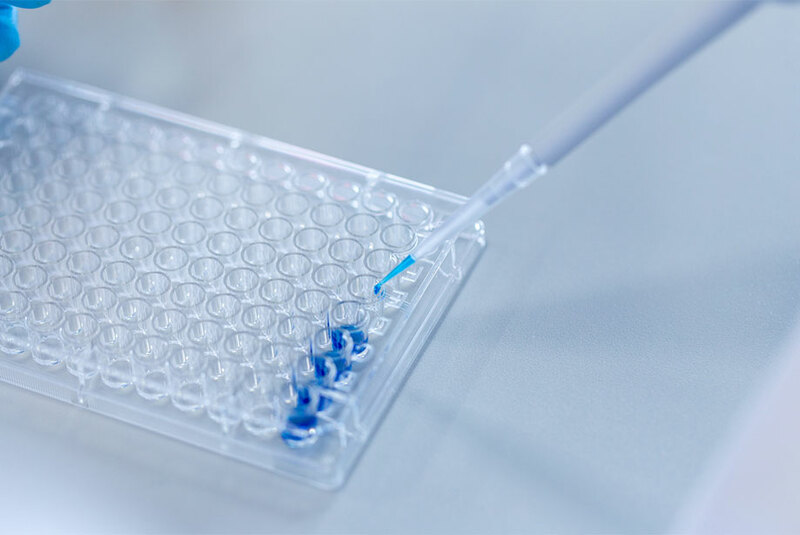 Our kits are highly published and Enzo Life Sciences has decades of experience developing and optimizing ELISA assays to meet the ever-changing needs of our scientific community. As Scientists Enabling Scientists, we realize the value in providing relevant information to our customers working in the fields of life sciences, drug development and clinical research. We are happy to provide simple yet useful tips and guidance for your research needs. Please check out our 10 Tips, ELISA Technology overview, %CV in ELISA, or contact our Technical Support Team for further assistance.